"Did you find everything you need? ", asked the cashier at Trader Joe's. "Everything but the sugar," I replied. The cashier called over to the manager to ask about the sugar, and the manager said it had been discontinued. Something about rising prices and not being able to secure a good deal. No more granulated sugar in a pretty pink package at Trader Joe's. We might be out of sugar, but there will be no shortage of crochet thread in my house. I'm too busy crocheting to bake anyways. As promised, here's the crochet star pattern. Materials: Crochet thread, size 30. Crochet hook, size 10. Step 1: Chain 5, join with slip stitch to form ring. Step 2. Chain 3. 14 double crochet in ring. Slip stitch to 3rd chain of chain 3 to form circle. Step 3: * Chain 5. 1 single crochet in 2nd chain, 1 half double crochet in next chain, 1 double crochet in next chain, 1 triple crochet in next chain. Skip 2 double crochet, slip stitch in next double crochet. * Repeat from * to * four more times to create five points, ending with slip stitch at base of first point. Fasten off and weave in ends. Make lots and lots. Let me know if you think of something clever to do with them. Now for my next project: researching how to grow sugar beets and extract sugar from them. Just in case. Time to get some crochet cotton. I second that. I think I am in need of some crochet thread. They are adorable and there is something about them that reminds me of happy little star fish with belly buttons. I know, I'm nuts. I thinking of a mobile for the new baby when he arrives....but first I need to score a bunch of thread in lots of colors. I'm always finding things I love at Trader Joes then next time I'm in there they're no where to be found. Granted I only stop in once a year when I'm out of town but now I know I guess. Your thread collection is GORGEOUS and I love the stars! Thanks so much for the pattern, I'll be spreading the word. I hate when TJs discontinues something I like. It does make me start to get twitchy thinking about food supply (especially water since I live in the desert sw in a totally unsustainable city - but I digress). Love the pattern. Must keep my eye out for thread. I am a beginner to the world of crochet having been a knitter for years. I hope I can make a huge thrifting score this weekend of some thread. I must learn to crochet! I was planning on learning over the winter, whilst there is snow and ice outside. Alas, it's February and I haven't learned a single thing. On the other hand, really, we still have the rest of February and all of March. I love the tiny stars. They are so beautiful. If I could make those, I would be tickled pink! The stars are so sweet. I'm gonna have to stop reading blogs though. I find so many ideas I want to try, but I can't find the time to try them all! Super cute. I just recently learned to crochet. 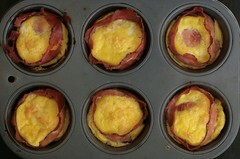 I'm going to attempt this! They are just sooooooo cute! I love telling the clerk at TJ's that I didn't find something just to see them all jump into action trying to fulfill my need. Does this make me a bad person?? oh boy, oh boy. i can't wait to make a billionty-one stars. whoot! they are so very tiny and lovely. Love them! Crochet thread scares me, but these are gorgeous! May have to give it a try. These stars are wonderful. 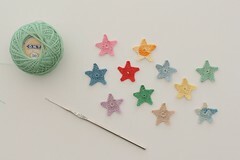 I have all kinds of crochet thread from a yard sale and would love to make stars and hearts. They would be great on bobby pins. Thanks for sharing how to make them. ...and dreams of a new baby mobile dance through my head!!! LOVE these dainty dreamy stars. These stars would make a great Independence Day version of your heart garlands! You've inspired me. I am a chunky yarner all the way, having a passion for bulky textures and sweaters and scarves and big bulbous mittens! But your little hearts and stars are so undeniably delicate and perfect for adding texture, I went to the thrift store too and found some super sweet pink cotton crochet thread and will try the hearts. Am new at patterns so we'll see what happens! Wonderful! Love your color collection too.. score!... for you and all that yarn, uh thread... and me, for that great star pattern. thanks for the generosity! and congratulations on the d*s appearance. wow. big time! Oooh... I would get a cool piece of driftwood from the coast and dangle a bunch of stars off it with fishing twine to make a mobile! I don't crochet but I love looking at those. So cute! those starts with the changing color yarn (thread!) are cool. I scored a bunch of free crochet thread last year but have yet to do anything with it. Not even a single snowflake for my tree. Sad, I know. Maybe this is the month. check out the hearts for an idea (http://savoirwhy.blogspot.com/2011/02/learning-from-others.html) - would work in a similar fashion with the stars (am stuck on one point with the stars... not literally 'point' but instruction, i guess. still working out the math! love your creativity miss molly! 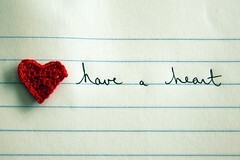 and your generosity in sharing the pattern. I can just see stars floating all across the country! I inherited all my grandmother's crochet hooks, now might be a good time to learn how to crochet! pattern with all of us! Fill clear Christmas tree ornaments with stars. Hang from tree or hang from ceiling. So many possibilities with these stars! 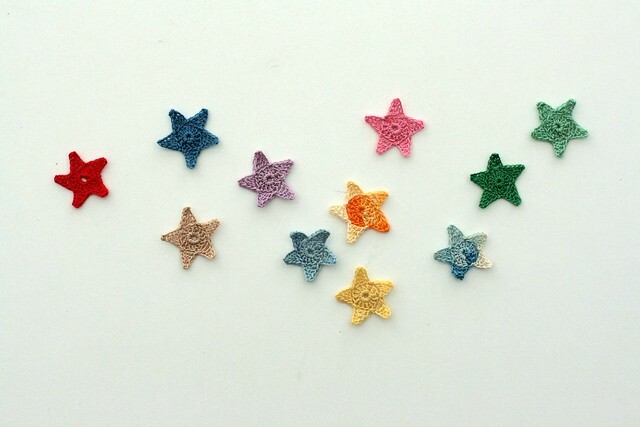 I'm imagining a baby blanket of multi-colored, haphazard stars everywhere. This is a really cute pattern. Thanks for the share. love them! i also thought of a mobile, and ornaments are a fantastic idea too! thank you for sharing!!! These are officially way too cute!! When the cashier asks "Did you find everything you need?" .. I look at her seriously and say .. "No .... pause ..... I didn't find a husband, what's the matter, are you out of stock?" Molly, you are amazing. I am in love with these little stars. Maybe I'll try to relearn crochet just to try out this pattern. And for the sugar? I *just* went to TJ's looking for their organic powdered sugar. Gone! These are awesome, thanks!! I'm new to crocheting but I think these might be my next challenge! Amazing! they are so quick and easy to whip up! thanks so much for the share. I'm going to try and make a big one up! Wanted you to know I posted a link to this tutorial today on my blog. So beautiful! These will make a great bunting for the nursery! My granddaughter visited last week and she had 3 crocheted flowers sewn across the chest of a plain stretch shirt. I can imagine these sewn on 3 of the same, 3 different, or one in the middle of two matching ones. Can't wait to give this a try. Thanks for sharing! Thank you for this pattern!!! I modified it to make an 8-pointed star, which was very easy thanks to your clear directions! I have a lot of this thread and haven't found many patterns that would be useful to me, I have looked a bit into the filet crochet which looks like fun, but I would really love a pattern to make curtains. Any suggestion's? OMG so cute!! Found via https://www.facebook.com/CrochetingClub today. Thanks for sharing, I love little projects like this, and I have a crap-ton of crochet thread from my mom. sew them together into a light summer scarf or maybe into a cap? Just a thought. Love these! Going to make loads to brighten up plain tee shirts (or sew over tomato sauce spots). I will try this - as I go along join the points for a colorful throw. Just use size 3 (one step up from baby yarn) will be a project to use my scraps. Could use cotton and make into a colorful runner the same way. I always join as I go cause I hate sewing together later. 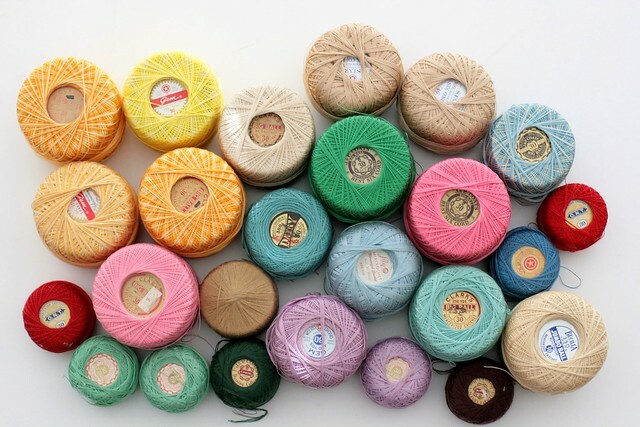 i was wondering if you could use a different size thread, as my store that i get thread from only has ten and twenty on the yarn/thread...... any suggestions. I used your star pattern for a Memorial Day Mantle decoration. Thanks! I made one of these in sport yarn and it was so adorable! I think they look like they have bellybuttons too! I'm going to make a baby afghan and adorn it with these. I have a daughter-in-law from Cape Cod and she will love it! Thank-you so much for this pattern! I'll be using them in my American flag afghan. I'm not good at reading patterns so was looking for pictures/demonstrations/details and love what you provided! Thank you so much! Perfect for decorating my baby cowboy booties. Thank you so much for sharing this pattern! I have used the stars to make a red, white, and blue phone pad. (I have a vintage phone, it sits on the pad!) I have also used them to hang in my girls' bedroom along side their glow in the dark stars - I'm looking into adding planets, comets, and other space items! Very cute! I'd make a Christmas tree garland out of them! 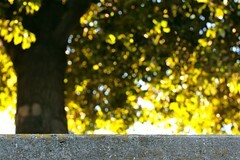 I just came upon your pattern while on pinterest (LOVE that place for inspiration). I was thinking of making a christmas garland with these and possibly making some snowflakes too! thanks for sharing! 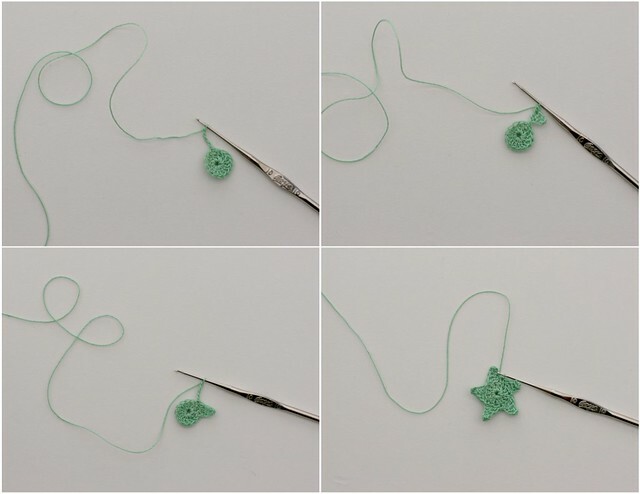 These are great, easy to make Fast and work at any size yarn or thread! Wonderful project!! These are just lovely! I will be using them in our church Christmas celebration. Will make loops so they can hang on the tree. These are great ... going to try some this rainy day. Thanks for sharing. Thanks so much for this pattern! I did not read all the posts - but if you make them with yarn (or thicker thread) they should slide right onto the bulb of Christmas lights! 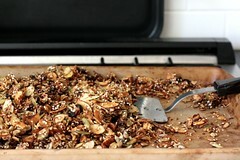 I know exactly what to do with these - make a garland out of them to hang in a child's room. At least, that is what I am going to do! Now off to Walmart later tonight to get the crochet thread (and maybe some yarn, too). Thank youuu! have been looking for this kind of mini star for ages, thank you so much for the tutorial. I made them with medium weight cotton yarn and they worked just fine. I used them to decorate hats and scarves for my nieces for the 4th of July. I love this!!! is fantastic! congratulation! I'm going to sew antique buttons in to their centers and attach them to my kitchen valances. I'm going to attach antique buttons in the middle and then edge my kitchen valance with them. I'm going to make a table cloth with these! Love them. I'm thinking red, white, and blue, for the next fourth of July. Thank you! Barefoot sandals with these stars. Absolutely adorable thanks so much!!! I made a garland with these stars! You could make larger ones and join them together to make a lovely scarf!!! Thank you for this pattern - love those tiny stars! I love this pattern! I made five larger stars, four small stars and put Fifty of them on a beautiful American flag that I crocheted. Five large, then a row of four small stars. It turned out lovely. I made a small American Flag carry blanket for one of my little ones who is enamored by them and I needed some stars for it and thanks to you I have the perfect star pattern for it. I adore these...I love crocheting and I never know what to make!